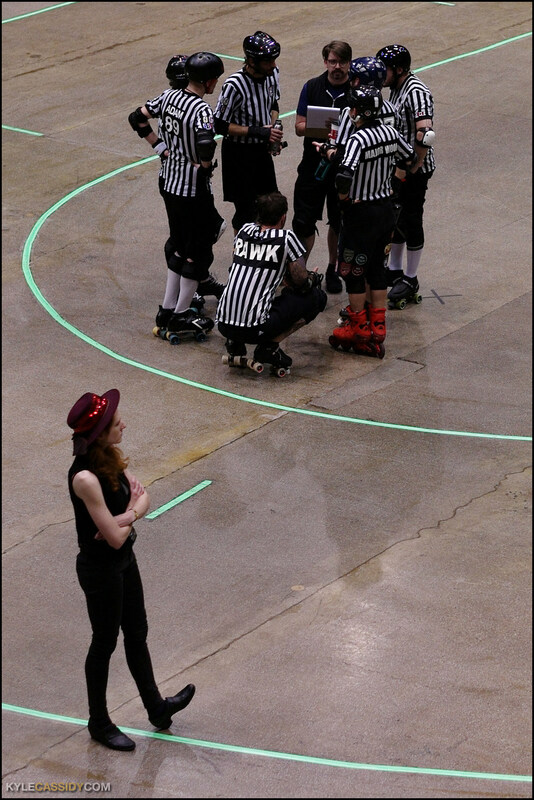 During the Roller Derby world championships, ESPN had a mysterious woman in a RED HAT (never the same hat twice) who would, during commercials, stand on the side of the track so that the officials knew not to restart play. When the commercials were over, she'd walk away. This is a job that you can have. Clickenzee to Solve the Mystery! Is this something that you simply noticed, or something you were told about while working on your book?